After learning the ropes at Morimoto in New York, Japanese chef Makoto Okuwa, originally from Nagoya, went solo for the first time in 2007, in Del Mar, California. This venture wasn’t particularly successful, but the chef wasn’t put off, and in 2009 he opened Sashi in Manhattan Beach, also in California, mixing American cuisine with Japanese culinary traditions. In 2011, he headed to Florida, and more specifically Bal Harbour, a small town a few kilometres from Miami. 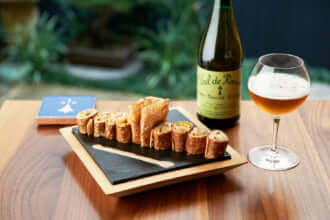 There, in the middle of an ornate and luxurious shopping centre, he opened Makoto, where he continues to develop his style, creating sophisticated dishes which pay homage to his homeland. Makoto is part of Stephen Starr’s empire. Starr is an American restaurateur who owns over thirty establishments. 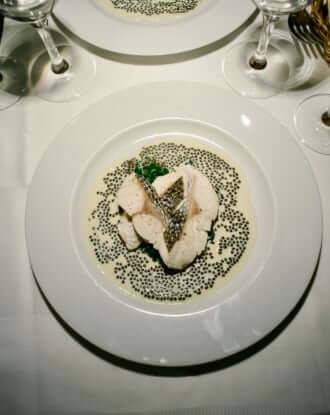 These restaurants tend to attract celebrities and people who wish to be seen. But this isn’t the case at Makoto, where the main attraction is still what happens on the plate. ‘I have a real respect for Japanese traditions, but I think it’s also important to add my own variations to appeal to a wider range of palates’, the chef explains. His menu takes inspiration from his colleagues, mentors and the sophisticated clientele and sunny climate of Bal Harbour, as well as products from the region. 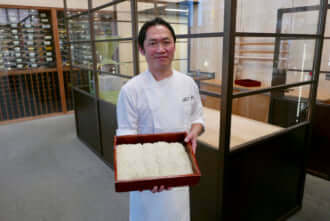 He’s also opened a second branch of Makoto in Panama, and later plans to open a restaurant in Mexico.